Hernán Cortes was born, Hernán Cortes de Monroy y Pizarro Altamirano, in Mendallin, Spain in 1485. He is better known now as Hernan Cortes, although he used a number of different names such as Fernando and Hernado, during his lifetime. Cortes’ family was of lesser nobility, but despite that, they did not have a lot of money. Cortes was described as being a sickly child, but seemed to recover his strength as he grew older. Cortes was sent away to school when he was 14, but did not enjoy it and returned home after just two years. After returning home, he did not pursue a career as a lawyer as his parents wanted, but instead Cortes decided that he wanted to head to the New World in order to earn his living. He set sail for the New World at the age of just 19. Once setting sail, Cortes became a Spanish explorer, or ‘Conquistador’, and was one of the first people to start Spanish colonization of the Americas. 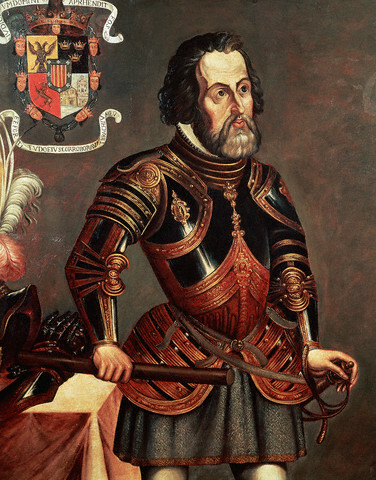 As a result of his exploits, Cortes is one of the best known of the Spanish Conquistadors. After leaving home, Cortes went to the America’s, first stopping at Hispaniola, which was the name for modern day Dominican Republic and Haiti. He then went to Cuba where he became a magistrate in one of the first Spanish towns. After a few successful years as a magistrate, he was elected as captain to lead an expedition to the mainland where he worked with indigenous people to ensure successful conquering of the land. Cortes heard of the Aztec civilization and knew that they were a force to be reckoned with in what is today modern-day Mexico. When Cortes and his men arrived into Mexico they became allies with the Tlaxcalans who were traditional enemies of the Aztecs. Together they marched towards the Aztec capital city of Tenochtitlan. Strangely, Cortes’ arrival coincided with an important Aztec prophecy about the Aztec god Quetzalcoatl who the Aztecs believed had created humans. As a result, Cortes was greeted with honor by the Aztecs, because they were unsure of whether or not he was indeed the god. Cortes used the confusion to his benefit and quickly began his conquest of the Aztec civilization. 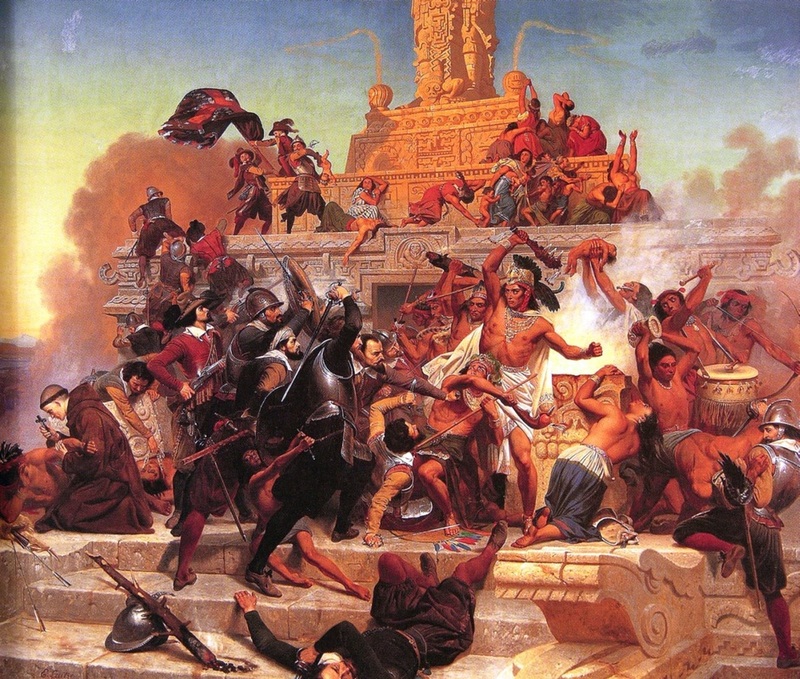 In general, Cortes overwhelmed the Aztecs by capturing their leader, Montezuma II, and by leading several key battles against the Aztec people. Aided by the spread of European diseases, such as small pox Cortes took control of the great Aztec capital city. Cortes built Mexico City on the ruins of Tenochtitlan and it became one of the most powerful cities in the Spanish Empire. The conquest of Tenochtitlan resulted in the fall of the Aztec Empire and it was one of the most notable of Cortes’ conquests, and it resulted in bringing Mexico under the rule of the Spanish Empire, in the 16th century. Cortes was appointed as Governor of New Spain, and was awarded the title of Marques del Valle de Oaxaca by the king. Cortes went back to Spain in 1541, but died six years later on the 2nd of December 1547. Cortes is remembered today as one of the most famous explorers of the Age of Exploration and his exploits (Conquest of the Aztec Empire) would go on to inspire many other conquistadors, including Francisco Pizarro and his conquest of the Incan Empire.